This small, beautiful bay is located south of Dominical. 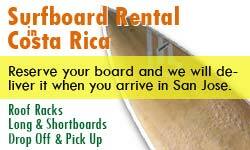 If you are not ready to surf Dominical, or are tired of getting pounded, this beach is an option. 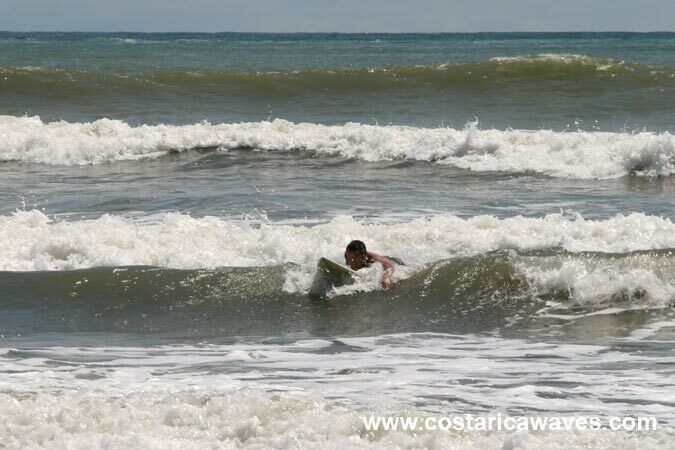 The surf is well protected by the bay in Dominicalito. The bottom of the bay is sandy, but there are several big rocks. Watch out, especially at lower tides! 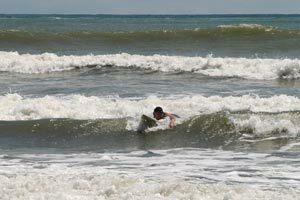 The waves are best during medium to high tide. 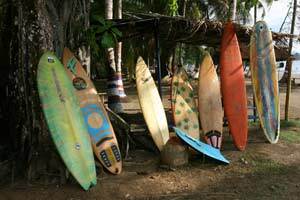 The swell should come from the South or the Northwest. 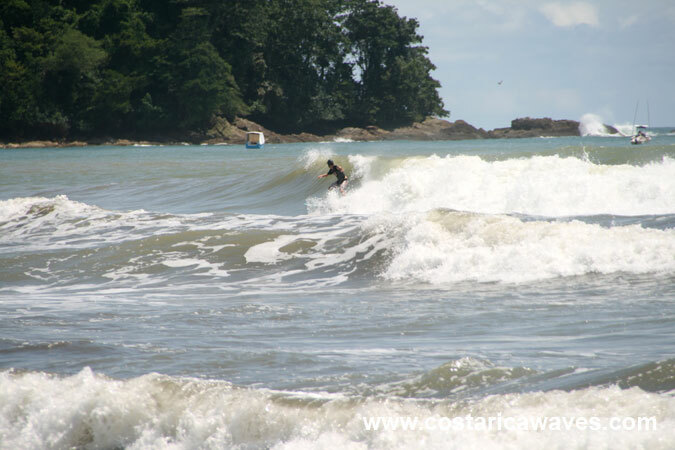 The waves break to the left and to the right in Playa Dominicalito. 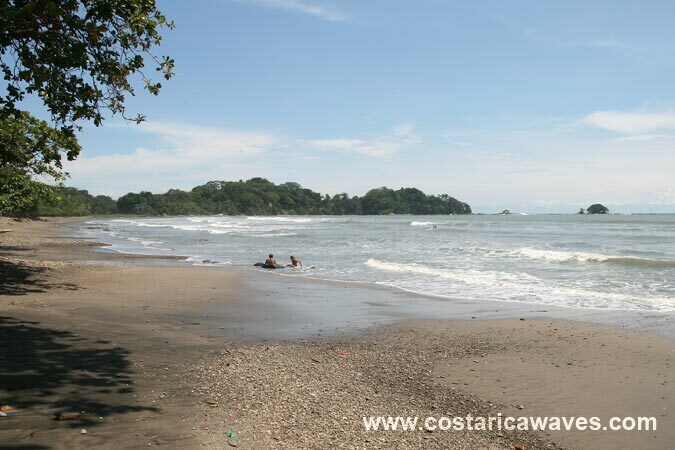 It is possible to walk the 4 kilometers from Dominical to Playa Dominicalito, but it takes at least half an hour. Walk to the southern end of the beach in Dominical and then walk up to the coastal road. 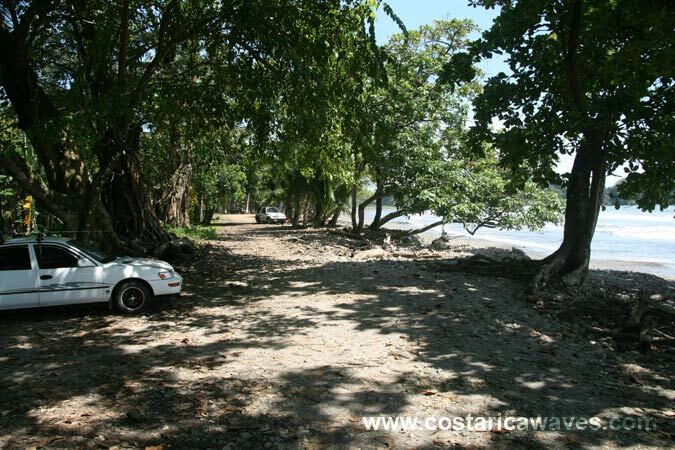 You have to walk along the coastal road till you get to a sign that point to Playa Dominicalito. 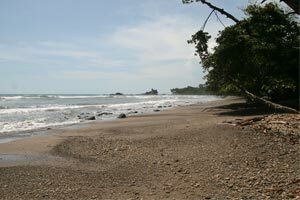 Dominicalito is a small bay south of Dominical. 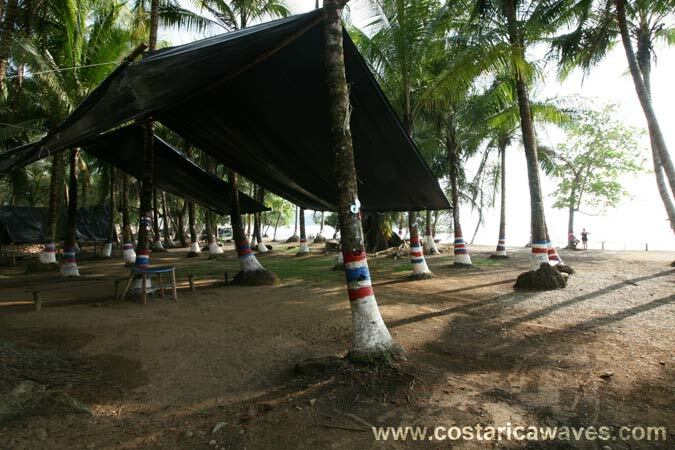 Overview of of Playa Dominicalito. There is enough space to park your car, but don't leave any valuables unattended. Dominicalito is a popular surf spot among beginner surfers, catching waves is relatively easy. 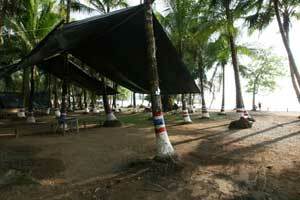 There is a campsite right next to the beach.